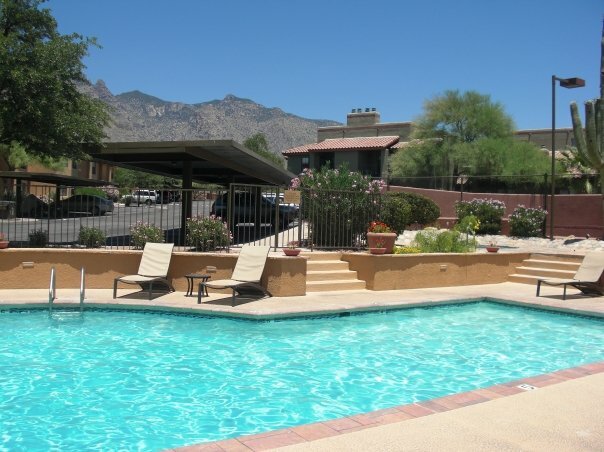 Skyline Village / Skyline Villas: Located at the foothills of the Santa Catalina Mountains is this gorgeous 168 unit luxury condominium complex. Resort style amenities includes a heated pool and spa, lighted tennis court, outdoor grilling, exercise facility, clubhouse and beautifully landscaped grounds. Kick back and enjoy the views from your private balcony. Located directly North of La Encantada Mall, AJ’s Fine Foods and some of Tucson’s best restaurants, including RA Sushi, Firebirds Wood Fired Grill, North, Armitage and Blancos Tacos and Tequila. The complex is found in the popular and highly rated Catalina Foothills School District 16 and is neighbors with Manzanita Elementary School and nearby to Catalina Foothills High School and Orange Grove Middle School.